ever though that the boss always has the biggest desk? think again, look again. 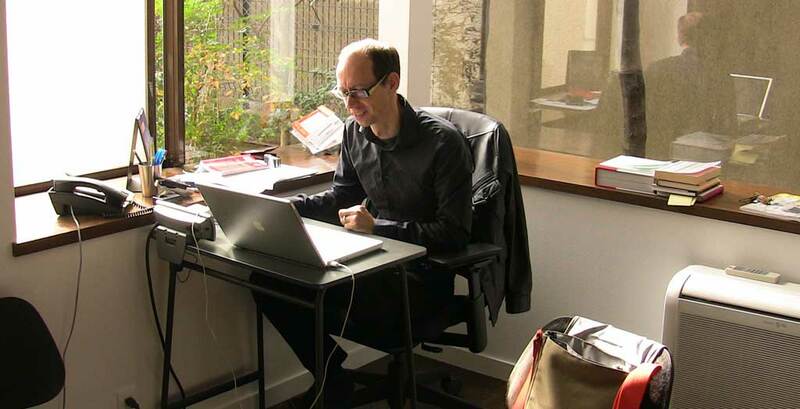 The boss at van der architects switched his big white desk to something he really needed. a small desk for his laptop and a wall full of books and now he has much more space for his meetings with his clients and room to walk around and think. something every boss should do.